Many businesses will get their website redesigned and wonder why their Google rankings have taken a dive. With the old website they were doing nicely and sitting on page 1, but since the launch of the brand new website their online SEO has taken a big hit. This is common and happens all the time with businesses that think their great rankings will follow them around. This is not the case and unless you follow these steps to prevent any loss for your Google rankings, you will find that your new web redesign is more of a burden than helpful. Most businesses don’t know about how a new site can have a negative impact on your SEO and go blindly into design and build without ever thinking about the consequences, which can be devastating. There’s nothing worse than getting really excited about the launch of your new website only to find that your rankings have tanked. Following are some really useful tips to ensure that your website redesign does not negatively affect your SEO and all the hard work you have put into getting to page 1. 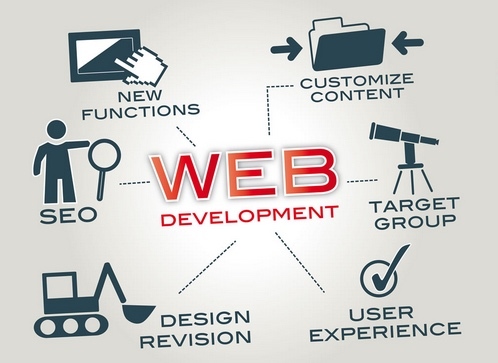 Firstly you need to ask yourself the question: Why does my business need a website redesign? Websites are the shopfront to your business online and like with any retail outlet it needs a refresh. Stale, old, outdated designs with dated technologies are not only a turn off for your customers but they can also damage your SEO. People now demand that what they view online is the latest and the greatest and if your website fails this test then it can harm your image and damage your brand and reputation. Ideally, you want to showcase your business in the best possible light with a dazzling new website that literally blows people away when they see it. This is why a redesign or revamp is vital and it should be done every couple of years. By ignoring this and forgetting what your customers expect you are really giving your competition an advantage. If they have a better, more appealing website that is ranking above you there is no way you are going to be able to compete. Simple as that! Plus you have to know that you are really giving your competition the edge and in fact helping them gain a larger share of the market. There are so many cool new marketing add ons and technologies available on the market at the moment that help you capture sales leads and market to your clients that utilising them is a no brainer. These new swath of modern technologies are a real bonus for businesses and are in most cases simply added onto your new website all at pretty affordable rates. Think of all these brand new whizz bang technologies like online ordering or ticketing systems, live chat widgets that make your website more customer focused. All of these new ‘tech gadgets’ need to be considered. So let’s now look at what you have to consider in terms of SEO. When you redesign your website there are a number of critical factors to consider to ensure that your old web authority and trust or what’s termed Google Juice is passed from the old website to the new one. > probably the most important factor is to make sure that old URL’s are redirected (via 301’s) to the corresponding page on the new website. This will ensure that the authority between web pages is passed on. It’s amazing how many businesses forget about this 1 critical factor and end up loosing all the good authority they have built up over the years. You can fix it but in the interim your rankings will suffer and the worse part about it is that it may take a month for Google to reindex your site and restore your rankings. > now would be a good time to check the website copy on the new site and make sure that it’s Google compliant and there is no hint of any duplicate content. > make sure all internal links between pages and blog posts are all working. > A REALLY important factor is to make sure that the site URL’s and navigation all follow a set of rules that make it easy for the search engines to crawl and index. Everything should flow naturally and be easy for the user to navigate. Think about what your clients are coming to your site for and cater to this need with a simple site structure, clear navigation paths and easy to follow URL’s. For the sake of SEO you want to have keywords or phrases in your URL structure. For example a perfect URL structure for us would be hoppingmad.com.au/web-design. Google will index this a lot easier if the content on that page is all about web design and the titles match up to this. See below and you can see how perfect everything lines up; the titles’ descriptions, as well as the actual web page. Google loves this kind of stuff and it works really well. Have a look at all your in bound links. A website redesign is the best time to have a complete SEO audit and the best time to prune or get rid of any redundant or non compliant links that may have been built in the past by some other SEO agencies. If your new site is on a new CMS platform then many of these links will be useless unless 301’s have been put into effect. Google has really tightened up it’s in bound linking criteria and will punish those sites that appear to have been over zealous in their attempts to optimise certain keywords. Login to your web master tools and see if there are keywords that have been recklessly over used and trim them back with the launch of the new site. If your thinking about a web redesign and are concerned about maintaining the integrity of your online Google position please get in touch with us here at hopping mad designs. We have done this all before and know what it takes to preserve your rankings.